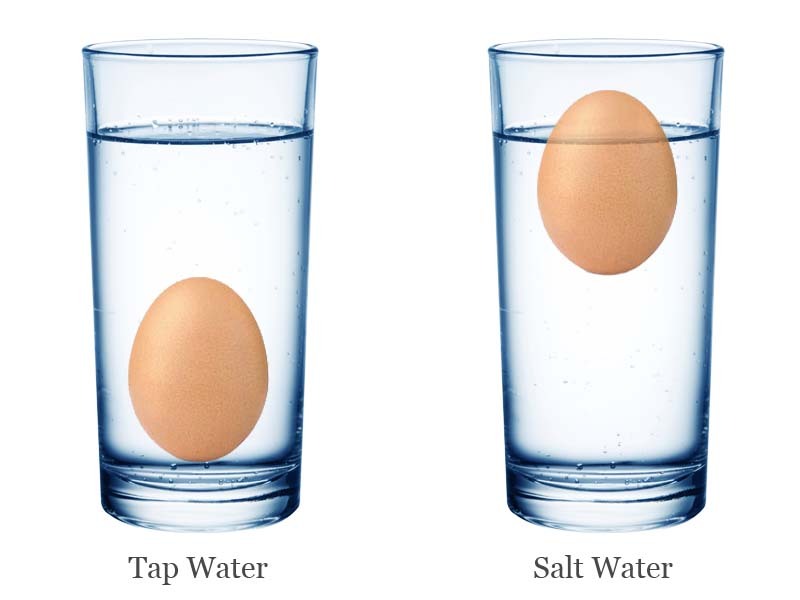 It is commonly observed that eggs will sink to the bottom of the water when they are placed in ordinary tap water. So, how this happens? And how eggs float in salt water? We will do a simple classic salt water and egg experiment to understand the science behind it. Fill the glass with ordinary tap water. Place the egg in it, and watch the egg sinking to the bottom of the glass. Stir the water in the glass to completely dissolve the salt. Again, place the egg back into the glass and watch the floating egg. When the egg is placed in common tap water it sinks to the bottom, because the density of water is less than the density of egg. But, when you add table salt in the tap water, its density is increased. When the density of water became higher than the density of egg, the egg floated. Try to float an egg in the middle of the water. Fill the glass half-way with water and add 4 tablespoons of table salt, then stir well. Fill a cup with ordinary tap water. Now, gently add the water from cup to half-filled glass so two layers of different density water don’t mix together. Now place the egg in the glass gently. 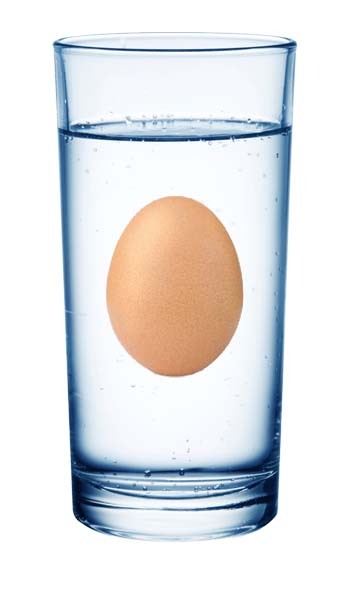 If two layers of water are not mixed together, the egg will float in the middle of the glass. Abdul Wahab, "Floating Eggs in Salt Water," in Science4Fun, April 13, 2019, http://science4fun.info/floating-eggs-in-salt-water/. This looks like an interesting experiment .I think I will do this experiment.Thank you for this amazing idea of a science fair project. I DID THIS EXPERIMENT AND GOT A HUNDRED!! !MY TEACHER SAID THIS WAS A GOOD IDEA AND THAT I FOLLOWED THE STEPS EXACTLY!THIS WAS AN EGGCELENT EXPERIMENT!